But after a decade of falling consumption, rates have stalled at well above the recommended limit, according to statistics released Thursday by the Centers for Disease Control and Prevention. The agency found that adults and children are both consuming roughly the same number of calories from soda, sports drinks and other sugary beverages now as they did in 2009-2010, the last time the CDC published comparable data. According to the market research firm Euromonitor, the U.S. market for conventional carbonated sodas contracted .6 percent from 2011 to 2016. During that same period, sales of energy drinks, sports drinks and iced teas and bottled coffees grew by 5 to 13 percent. “If you extrapolate our findings out, that means 111 million adults and 147 million kids still drink at least some sugar-sweetened beverage daily,” said Asher Rosinger, an epidemiologist at the CDC and the lead author of the research. For advocates, such a culture shift is urgent – particularly given growing evidence of soda’s unique public health harms. Excess sugar can contribute to obesity and other problems in any form, but it’s particularly troublesome in beverages, Johnson said, because most people don’t realize how much they’ve had. Willett and others argue that new policies are needed to keep soda consumption trending down – policies on the order of the Smart Snack rules, which have taken sugary drinks out of schools, and the forthcoming updated Nutrition Facts Label, which will highlight the sugars added during processing to such drinks as juice cocktails. 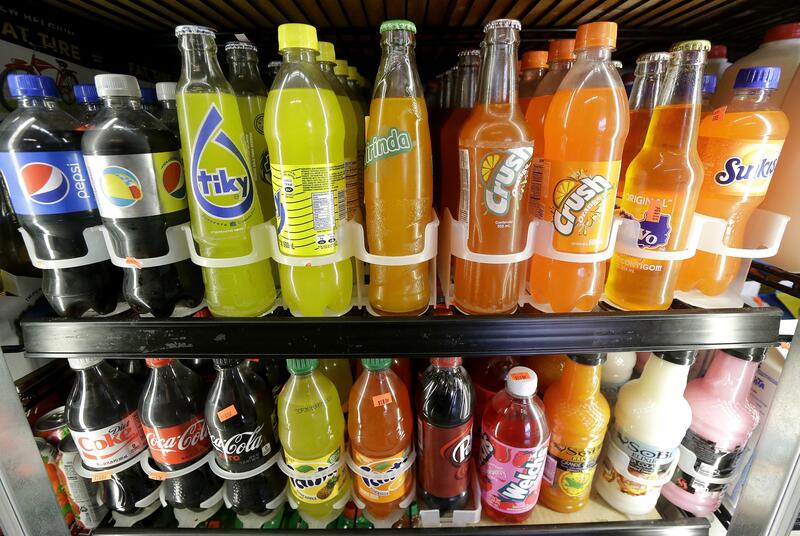 Unfortunately, Willett points out, most Americans don’t live in a place like Berkeley – and efforts to further reduce sugary drink consumption rely on reaching them. That makes education and awareness all the more important. Published: Jan. 27, 2017, 9:53 p.m.